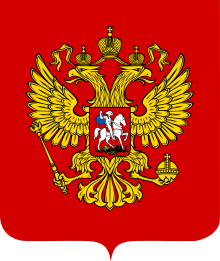 The term Russian oligarch (see related term "New Russians") is used to describe wealthy businessmen of the former Soviet republics that rapidly accumulated their wealth during the era of Russian privatization in the aftermath of the dissolution of the Soviet Union in the 1990s. The failing Soviet state left the ownership of state assests contested, which allowed for informal deals with former USSR officials (mostly Russia and Ukraine) as a means to acquire state property. Analysts have drawn comparisons between the current Russian system of oligarchs and the system of powerful Boyars that emerged in late-Medieval Muscovy. The Russian oligarchs are business entrepreneurs who emerged under Mikhail Gorbachev (General Secretary 1985-1991) during his period of market liberalization. By the end of the Soviet era in 1991 and during Mikhail Gorbachev's perestroika, many Russian businessmen imported or smuggled goods such as personal computers and jeans into the country and sold them, often on the black market, for a hefty profit. 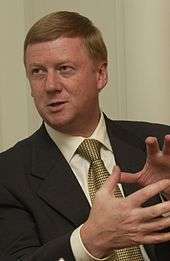 Anatoly Chubais, the man most credited with the Yeltsin-era privatization that led to the growth of the oligarchs. During the 1990s, once Boris Yeltsin (President of Russia from 1991) took office, the oligarchs emerged as well-connected entrepreneurs who started from nearly nothing and became rich through participation in the market via connections to the corrupt, but elected, government of Russia during the state's transition to a market-based economy. The so-called voucher-privatization program enabled a handful of young men to become billionaires, specifically by arbitraging the vast difference between old domestic prices for Russian commodities (e.g. gas, oil) and the prices prevailing on the world market. Because they stashed billions of dollars in private Swiss bank accounts rather than investing in the Russian economy, they were dubbed "kleptocrats". These oligarchs became extremely unpopular with the Russian public, and are commonly thought of as the cause of much of the turmoil that plagued the country following the collapse of the Soviet Union in 1991. The Guardian described the oligarchs as "about as popular with your average Russian as a man idly burning bundles of £50s outside an orphanage". Post-Soviet business oligarchs include relatives or close associates of government officials, even government officials themselves, as well as criminal bosses who achieved vast wealth by acquiring state assets very cheaply (or for free) during the privatization process controlled by the Yeltsin government of 1991-1999. Specific accusations of corruption are often leveled at Anatoly Chubais and Yegor Gaidar, two of the "Young Reformers" chiefly responsible for Russian privatization in the early 1990s. According to David Satter, author of Darkness at Dawn, "what drove the process was not the determination to create a system based on universal values but rather the will to introduce a system of private ownership, which, in the absence of law, opened the way for the criminal pursuit of money and power". In some cases, outright criminal groups - in order to avoid attention - assign front-men to serve as executives and/or "legal" owners of the companies they control. Although the majority of oligarchs were not formally connected with the Communist Party of the Soviet Union, there are allegations that they were promoted (at least initially) by the communist apparatchiks, with strong connections to Soviet power structures and access to the monetary funds of the Communist Party. Official Russian media usually depict oligarchs as the enemies of "communist forces". The latter is a stereotype that describes political power that wants to restore Soviet-style communism in Russia. During Yeltsin's presidency (1991-1999) oligarchs became increasingly influential in Russian politics; they played a significant role in financing the re-election of Yeltsin in 1996. With insider information about financial decisions of the government, oligarchs could easily increase their wealth even further. 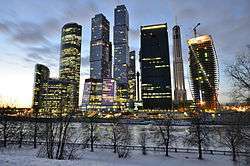 The 1998 Russian financial crisis hit some of the oligarchs hard, however, and those whose holdings were still based mainly on banking lost much of their fortunes. The most influential and exposed oligarchs from the Yeltsin era include Boris Berezovsky, Mikhail Fridman, Vladimir Gusinsky, Mikhail Khodorkovsky, Vladimir Potanin, Alexander Smolensky, Pyotr Aven, Vladimir Vinogradov and Vitaly Malkin. They formed what became known as Semibankirschina (or seven bankers), a small group of business moguls with a great influence on Boris Yeltsin and his political environment. Together they controlled from 50% to 70% of all Russian finances between 1996 and 2000. Potanin, Malkin and Fridman are the only ones on the list to have retained their influence in the Putin era (1999- ). Khodorkovsky, Berezovsky and Gusinsky "have been purged by the Kremlin", according to The Guardian. The most famous oligarchs of the Putin era include Roman Abramovich, Alexander Abramov, Oleg Deripaska, Mikhail Fridman, Mikhail Prokhorov, Alisher Usmanov, German Khan, Viktor Vekselberg, Leonid Mikhelson, Vagit Alekperov, Pyotr Aven, and still Vladimir Potanin and Vitaly Malkin. Between 2000 and 2004, Putin apparently engaged in a power-struggle with some oligarchs, reaching a "grand bargain" with them. This bargain allowed the oligarchs to maintain their powers, in exchange for their explicit support of – and alignment with – Putin's government. Many more business people have become oligarchs during Putin's time in power, and often due to personal relations with Putin, such as the rector of the institute where Putin obtained a degree in 1996, Vladimir Litvinenko, and Putin's childhood judo-teacher Arkady Rotenberg. However, other analysts argue that the oligarchic structure has remained intact under Putin, with Putin devoting much of his time to mediating power-disputes between rival oligarchs. The term 'oligarch' has also been applied to technology investors such as Yuri Milner, although without involvement in Russian politics. Defenders of the out-of-favor oligarchs (often associated with Chubais's party—the Union of Right Forces) argue that the companies they acquired were not highly valued at the time because they still ran on Soviet principles, with non-existent stock-control, huge payrolls, no financial reporting and scant regard for profit. They turned the businesses—often vast—around and made them deliver value for shareholders. They obtain little sympathy from the Russian public, though, due to resentment over the economic disparity they represent. In 2004, Russian Forbes listed 36 billionaires of Russian citizenship, with an interesting note: "this list includes businessmen of Russian citizenship who acquired the major share of their wealth privately, while not holding a governmental position". In 2005, the number of billionaires dropped to 30, mostly because of the Yukos case, with Khodorkovsky dropping from #1 (US$15.2 billion) to #21 (US$2.0 billion). A disproportionately large number of the oligarchs have been Jewish. There are also numerous oligarchs from other ex-USSR backgrounds, including Armenian, Azerbaijani and Uzbek. Billionaire, philanthropist, art patron and former KGB agent Alexander Lebedev has criticized the oligarchs, saying "I think material wealth for them is a highly emotional and spiritual thing. They spend a lot of money on their own personal consumption." Lebedev has also described them as a bunch of uncultured ignoramuses, saying "They don't read books. They don't have time. They don't go to [art] exhibitions. They think the only way to impress anyone is to buy a yacht." He also notes that the oligarchs have no interest in social injustice. A significant number of Russian oligarchs have bought homes in upscale sections of London in the United Kingdom, which has been dubbed "Moscow on Thames". Some, like Len Blavatnik, Eugene Shvidler, Alexander Knaster, Konstantin Kagalovsky and Abram Reznikov, are expatriates, having taken permanent residency in London. This community has led to journalists calling the city "Londongrad". Most own homes in both countries as well as property and have acquired controlling interests in major European companies. They commute on a regular basis between the EU and Russia; in many cases their families reside in London, with their children attending school there. In 2007 Abram Reznikov bought one of Spain's mega recycling companies, Alamak Espana Trade SL, while Roman Abramovich bought the English football club, Chelsea F.C., in 2003, and has spent record amounts on players' salaries. The billionaire Moscow oligarch Mikhail Fridman (Russia's second richest man as of 2016) is currently restoring Athlone House in London, to be one of his primary residences. The house will be worth £130 million when restored. According to the financial news-agency Bloomberg L.P., Russia's wealthiest 25 individuals have collectively lost US$230 billion (£146 billion) since July 2008. The fall in the oligarchs' wealth relates closely to the meltdown in Russia's stock market, as the RTS Index has lost 71% of its value due to the capital flight after the Russia/Georgia conflict of August 2008. Billionaires in Russia and Ukraine have been particularly hard-hit by lenders seeking repayment on balloon loans in order to shore up their own balance sheets. Many oligarchs took out generous loans from Russian banks, bought shares, and then took out more loans from western banks against the value of these shares. One of the first to get hit by the global downturn was Oleg Deripaska, Russia's richest man at the time, who had a net worth of US$28 billion in March 2008. As Deripaska borrowed money from western banks using shares in his companies as collateral, the collapse in share price forced him to sell holdings to satisfy the margin calls. 1 2 "Russia's Oligarchy, Alive and Well", New York Times, December 30, 2013. ↑ Johanna Granville, "The Russian Kleptocracy and Rise of Organized Crime." Demokratizatsiya (summer 2003), pp. 448-457. ↑ "The fabulous riches of Putin's inner circle". The Bureau Investigates. Retrieved June 7, 2012. 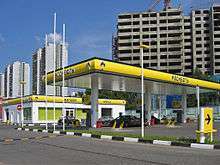 ↑ "Hague court awards $50 bn compensation to Yukos shareholders". Russia Herald. Retrieved 29 July 2014. 1 2 3 Harding, Luke (October 25, 2008). "Twilight of the oligarchs". The Guardian. London. Retrieved April 1, 2010. ↑ Thomas Jr., Landon (September 5, 2008). "Russia's Oligarchs May Face a Georgian Chill". The New York Times. Retrieved April 1, 2010. 1 2 "Margin Calls Ignite Billionaire Fire Sale". Archived from the original on 2008-10-26.